One of the reasons behind small business success, is appropriate pricing. When you price your product accurately, it can really help build the foundation for your business to succeed. The same goes for pricing your product or service incorrectly, your business may face problem that has trouble overcoming. It’s not an easy task to develop and initiate pricing – in fact, most business owners say it can be one of the toughest tasks to think about. If you’re thinking about revamping your pricing for the new year, here are some tips on getting the price right. Every business has different services costs, and not accounting for them can cause financial issues. It’s important to analyze the cost of each service, to set the maximum profit and reduce any unprofitable services. Always be sure to pay attention and never underestimate your labor costs. It happens all the time to small business owners. What are your competitors doing? Sometimes it’s not just about covering your operating costs, but also about where you want to position yourself in the marketplace? Think about where you want your brand – do you want to be a low-end competitor in a high market? Or maybe the high-end competitor? Seeing what your competitors are doing and figure out what will get you the best understanding of the market. A tip to keep in mind is, don’t try to compete with large store pricing. Most of the time they buy in large volumes so their costs are much less. Try to highlight other values of your company, such as excellent customer service. Do you know if you’re actually making a profit on a product or service? For example, if you’re getting only 10% of sales on a product that you’ve introduced – maybe you’re proceed too high. 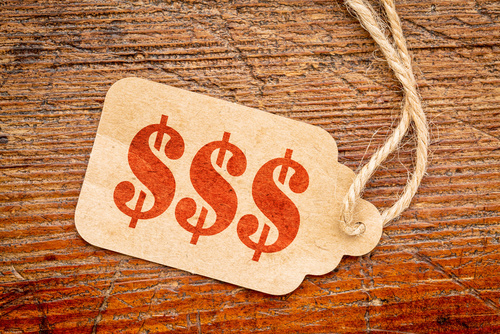 If you consider dropping the price by 15%, you could increase your conversion rate almost by 4. Basically, never assume things are just ok – always look to see what could be improved and be more profitable. Most business owners underprice their services. Not charging enough is a common issue for small businesses because they often don’t have the operational efficiencies of large competitors. The one advantage that a small business has over a larger company, is service – that is more valuable than anything. This strategy can be successful, but could be difficult to maintain. Remember that your competition can match your lower price. Have questions or need help developing a price plan? Email me at judi.otton@growth-cast.com.